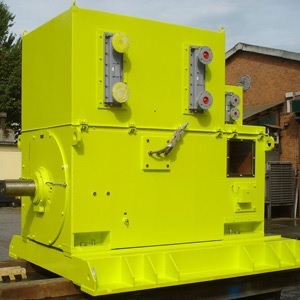 Menzel Elektromotoren manufactures medium voltage motors of the squirrel cage or slip ring type, typically for nominal voltages between 3 kV and 11 kV. Custom constructions deviating from these specs are available for nominal voltages of up to 13.8 kV. Standard frequencies are 50 and 60 Hz.